WHITTIER – Angelica De La Rosa recalls how her struggles with education – a lack of motivation and the poor grades that resulted – changed overnight with the birth of her first son. De La Rosa, who had enrolled in Rio Hondo College after high school only to be declared academically ineligible due to poor grades, returned with a plan. Rio Hondo College graduate Angelica De La Rosa and her family. Working part time and caring for her son, she jumped into a full schedule of classes. She retook the courses she had failed and did so well she was able to transfer to California State University, Los Angeles. At Cal State L.A., she blazed a path through the curriculum, studying with a full schedule straight through summers to get her Bachelor of Arts in child development and multi-subject teaching credential in eight quarters. She graduated on Dec. 12, 1998 and was working as a substitute teacher when Whittier City School District started its spring semester on Jan. 5, 1999. De La Rosa soon found a full-time post at the district, teaching English and history for six years and then math. She shifted to high school instruction, taking another round of college classes to obtain a single-subject credential. Along the way, she also picked up Master of Arts in education and, shortly after, became a National Board Certified Teacher in math – one of the nation’s toughest standards for teachers. De La Rosa went on to earn an administrative credential in 2011 and moved into high school administration. 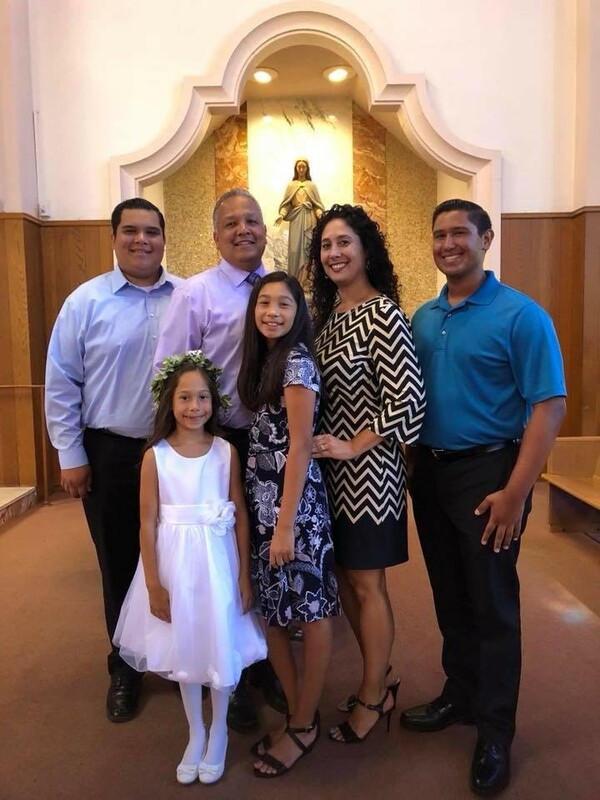 She returned to middle school this fall, serving as an assistant principal at East Whittier City School District while completing a doctorate in education from the University of Southern California. In February, she defended her dissertation on Future Ready Schools. “When I left the room, they called me Dr. De La Rosa and that was amazing,” she said. She credits her parents for teaching her to work hard for her goals and her husband, Anthony, for supporting her as she tackled each new challenge. “My parents had little to no formal education, but they taught us about hard work. It was so much more than that, yet simple. They didn’t make excuses or complain. They did what they needed to do to make sure our family progressed,” De La Rosa said. She has also served to inspire her children. Her eldest son is studying for his master’s degree in public administration. Her second son is taking Rio Hondo College courses during high school and will graduate as a college sophomore. Her two daughters, ages 12 and 8, are still deciding their paths. De La Rosa’s path also served as an inspiration for her older sister, who went to Rio Hondo College to earn a degree in nursing, followed by a bachelor and master’s degree at California State University, Dominguez Hills. Rio Hondo College President Teresa Dreyfuss said De La Rosa exemplifies the College’s mission. “Rio Hondo College’s goal is to provide not only access to higher education, but the support necessary for community members to realize their dreams,” Dreyfuss said. Board of Trustees President Gary Mendez said De La Rosa’s message should spark excitement among current and future students for their own potential. “She stands as an inspiration to all of us,” Mendez said. De La Rosa said she wanted to recognize the entire Rio Hondo College community for launching her journey.